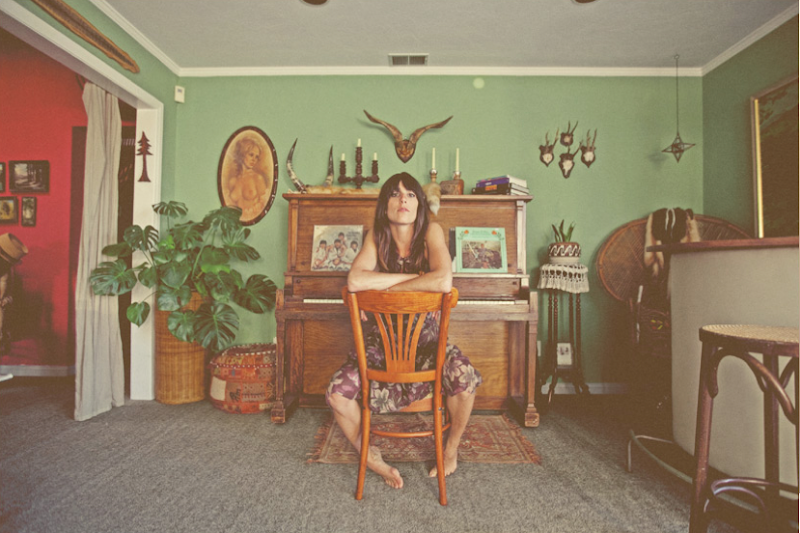 Photos of Nicki Bluhm by Feather Love Photography. If not in San Francisco, I would live in... Hollister Ranch, CA with lots of horses—and my friends of course. My dream holiday would be to...drink red wine and eat cheese and pastries in Paris with my husband, then ski tour the Dolomites in Italy. My current obsessions are...wearing Diptyque's Eau Lente perfume, Nanak's Coconut Lip Smoothee lip balm, Patagonia's Nano Puff jackets; cooking from The Frankies Spuntino Kitchen Companion & Cooking Manual, shopping for meat at Guerra's Meats in the Sunset District of San Francisco; listening to Merle Haggard, Ray Charles, The Mother Hips and Stevie Nicks. I channel my childhood self when I...am trying to keep from being left behind on a ski trip with the boys. The fictional character I most relate to is...Mary Poppins. If I had to be outdoors all day I would...ride horses, Telemark ski, hike, walk the beach, go backpacking, collect sea glass and swim. My favorite qualities in a man are... sincerity, confidence, and humor. My favorite qualities in a woman are...compassion, humor and easygoing-ness. I'm terrified of...dead gophers. I have two house cats who believe they are wild animals but actually aren't that hungry. My cocktail of choice is...red wine or if I'm feeling spicy, a martini up with two olives (my dad's drink). It's the first drink I ever ordered because I knew how to say it. If I could go back in time for one decade it would be... The 1850s. In 1851 I would take a wagon to San Francisco in a fabulous dress only to dirty it up immediately and probably go swimming in it. As a teenager I was totally into...horses, driving my Volvo, and breaking into country club pools at night. I tend to splurge on...products from my local co-op Other Avenues, they sell oils, herbs, incense, candles, handmade soaps, I could stay in there for a long long time. A love of Rock and Roll, paddock boots, denim, dirty hair, big packs and Sierra Nevada Pale Ale...is what makes me have Tomboy Style. I love these interviews, they're the best! I have seen those! He is such an amazing photographer!! I love Nicki (and Tim) and could not agree more with her about the best qualities in a man. Such a shame that they can be so hard to find! She is drop dead gorgeous! Great Q&A! Isn't she!? What a cool lady. I'm listening to her song Jetplane right now...so good! The top photo is SO AMAZING with the back lighting. I couldn't have said it better myself. Can we be best friends? :) You bring the ale and I'll bring the ponies. belated comment but i obviously LOVE this one! That last pic could be Patti Smith back in the day...wow! @Lizzie - the photographer is definitely amazing, but she's a she! 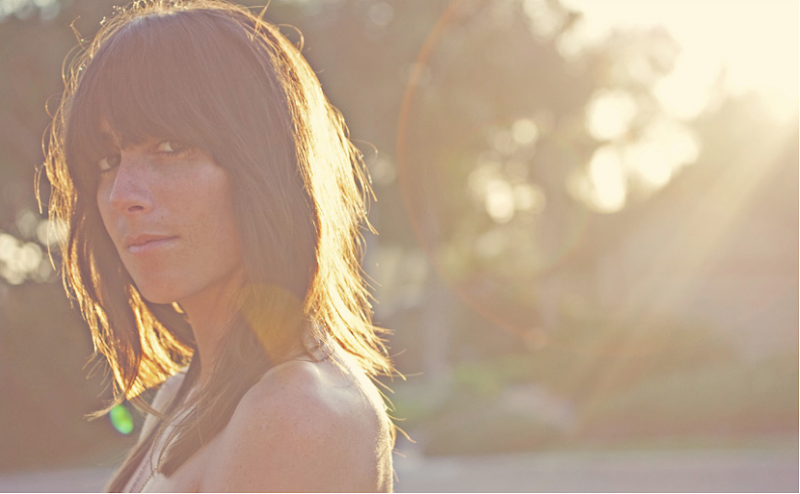 She has an awesome website. Featherlove.com.